Tuzer Dance School offers an exciting, professional and creatively driven dance program for ages 3 through 18. We balance technique, artistry and character in a nurturing, challenging environment where our dancers can thrive. We believe a teacher is the vital link for transmitting knowledge to the next generation. Just as mentors have guided us, we are the latest link in this chain. We take our responsibility to teach students the art of dance very seriously. We have taken that leadership position for the past forty years and will continue to guide with encouragement, creativity, discipline, and passion for many more years to come. We hope to infuse our love of dance into every student. Tuzer Dance School is known for nurturing dancers in a safe and progressive way. We teach age and developmentally appropriate ballet technique classes from a syllabus that allows younger students more time for movement exploration while providing advanced students with the tools to become professional dancers. As a result, students develop self-esteem, self-discipline, and a strong fitness level that will provide them an edge in any future endeavor. Dance can provide the foundation needed for success. Founded in 1977 by Tanju and Pat Tuzer, Tuzer Dance School is one of the nation’s finest dance schools. 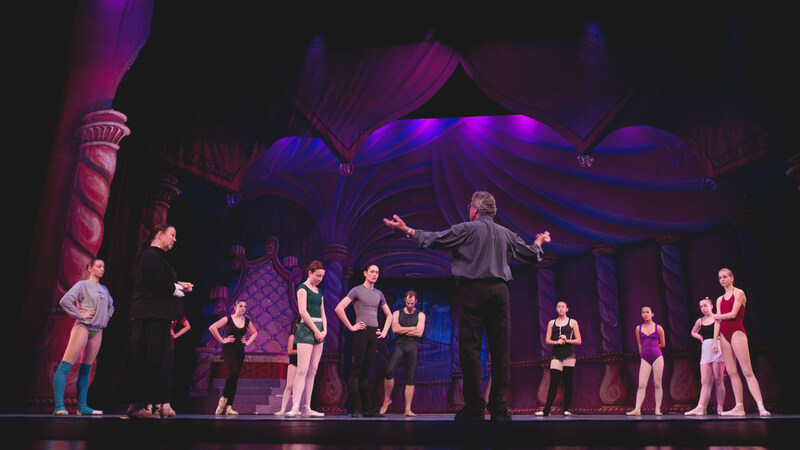 The Tuzers bring an impressive professional background to their roles as lifelong ballet teachers. As one of the longest running studios in the Dallas Metropolitan area, they have trained thousands of students over their impressive timespan as teachers and artistic directors. Their attention to detail, and warmth and connection to students, drives the school to achieve classical excellence that is difficult to find. The present Tuzer Dance School, with a contemporary, Frank Lloyd Wright style design, was built by Tanju and Pat in 1985. The studio has a modern feel with three naturally lit studios, custom sprung base, and new Harlequin flooring. The 2000 square foot master studio features a baby grand piano and can be transformed into an intimate 70-seat performance space with stage lighting. We house a spacious lobby with sky lights and a kitchenette along with two dressing areas with complimentary meditation sessions for parents in our newly renovated “Transcendental” room. In addition to the annual recital in May, our students have the opportunity to audition and perform in Tuzer Ballet’s Nutcracker. Over a hundred dancers and actors join together each holiday season at the Eisemann Center. This lavish and professional-quality production is unmatched in the area and has been performed to large crowds annually for thirty-two years. 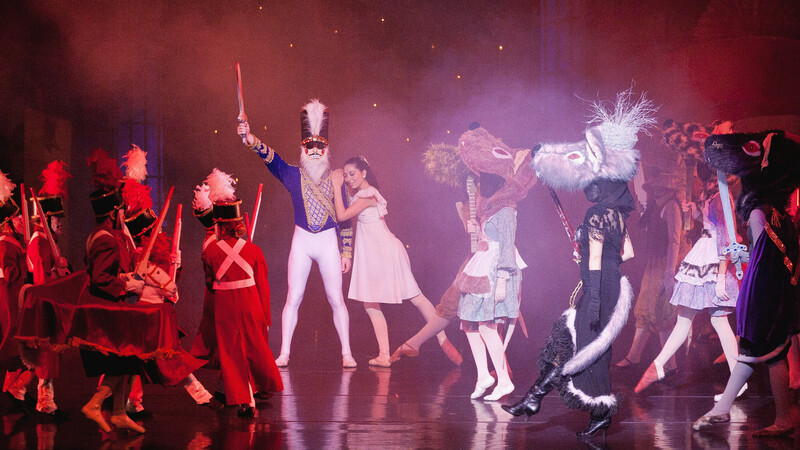 With over 300 costumes, elaborate sets and a renowned lighting designer from New York, Nutcracker is a special time our dancers and parents look forward to each year. Tuzer Dance School features a reputable and experienced faculty. Our teachers have danced professionally or obtained graduate degrees in dance education and many have won teaching and dance awards. We are all committed to our philosophy of dance education. We work hard to help our students achieve their very best. We are proud of the Tuzer alumni who return to the studio and join our faculty to pass on their knowledge to our students. Our teachers are warm and engaging providing a fun and safe place to learn.